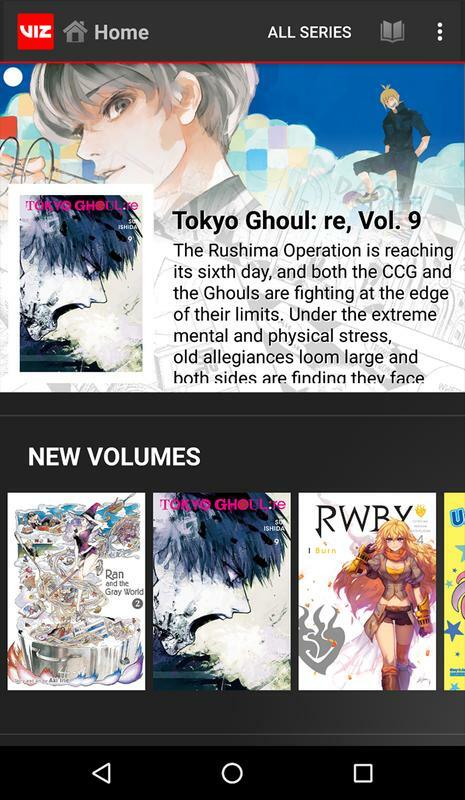 The VIZ Manga app, which includes the entire VIZ digital catalog, is your official and trusted source to read the world’s most popular manga and comics straight from Japan. 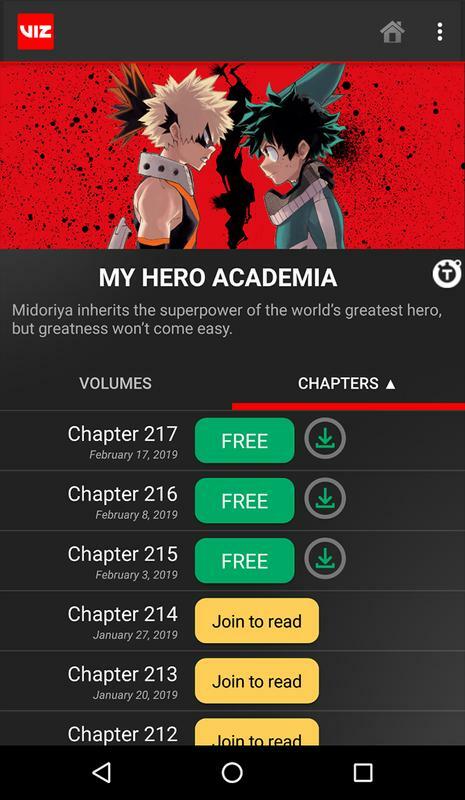 • Read the latest chapters from hit Shonen Jump series FREE the same day they come out in Japan! 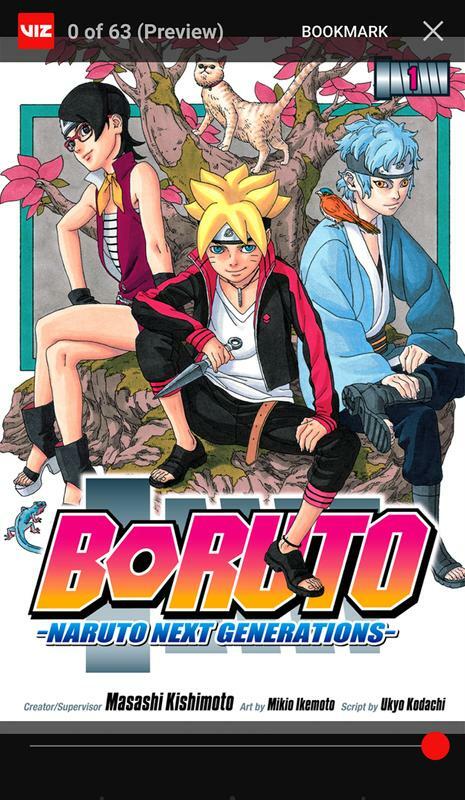 • Includes hit series like My Hero Academia, Dragon Ball Super, One Piece and Boruto: Naruto Next Generations! • New chapters weekly, with brand new series added regularly! • Series that inspired hit anime like One Punch Man, JoJo’s Bizarre Adventures and The Promised Neverland! With hundreds of titles across a wide range of genres, we’ve got something for everyone – whether you’re an action addict or a shojo romantic at heart, a fantasy fanatic or a sci-fi aficionado, a comics geek or an art lover. SHONEN JUMP MEMBERS GET MORE! 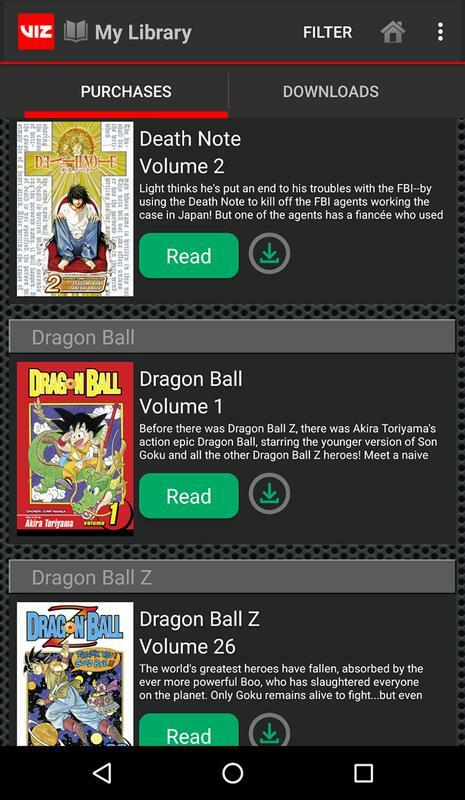 • Becoming a member unlocks the Shonen Jump digital vault of 10,000+ manga chapters! • Includes nearly every series Shonen Jump has published in English, including the mega-hits Naruto, Bleach, Death Note and Haikyu! And lots more! • ONLY $1.99/month (USD*)! Start your 7-day free trial today! *Prices may vary to reflect your local currency.